Sega Mega Drive games received! 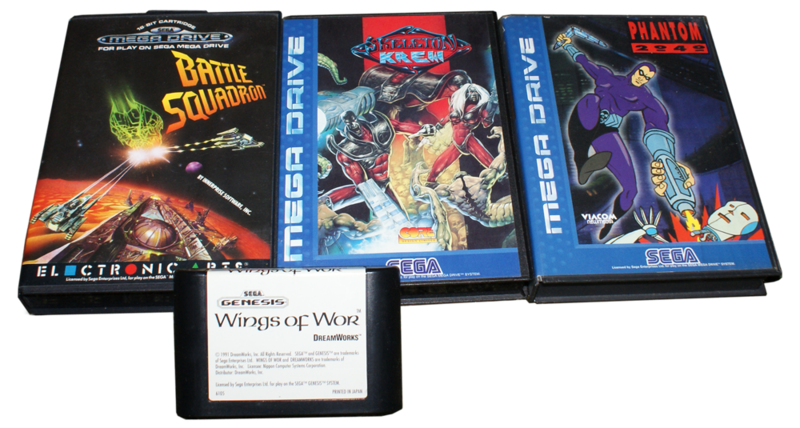 Battle Squadron, Skeleton Krew, Phantom 2040 and Wings of Wor. I had recently lost an auction with Skeleton Krew so this was the game I was actually out looking for. It’s a really cool platform shooter or as they call it on the back cover “outeRAGEous blastfest!!!”. 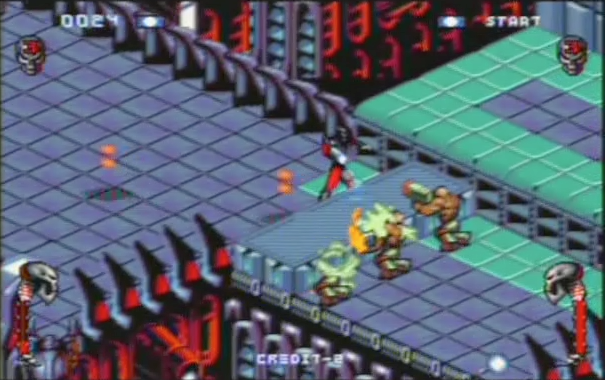 It really does have some cool effects to it that are not usually seen in Mega Drive/Genesis titles. 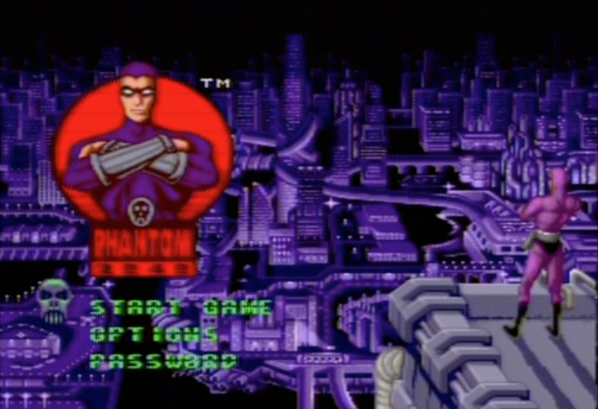 It kind of felt a bit like the advanced SNES games. 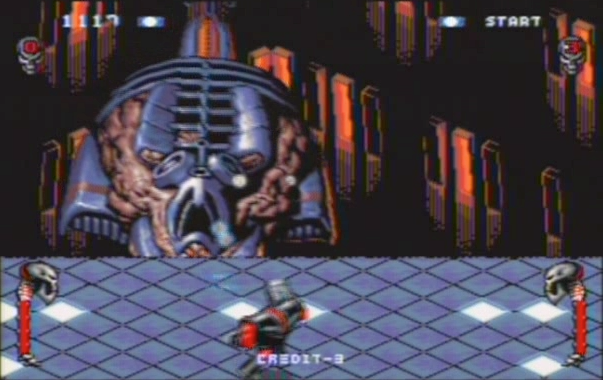 When the Boss appears he is hovering up and down and also sideways. It’s really well made, and they really manage to give a good three dimensional feeling to it. The controls are also smooth and easy once you get into them! 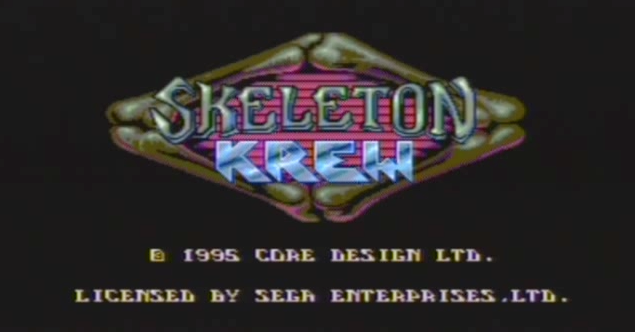 So after finding Skeleton Krew I browsed through the sellers other Sega titles looking for things I previously didn’t have, and looked up videos of the gameplay of the ones I found. 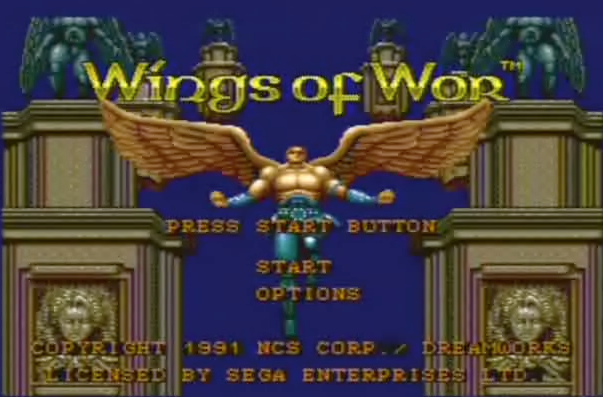 I usually don’t buy Sega games without boxes, but after finding Wings of Wor and seeing the gameplay on youtube I had to have it!! 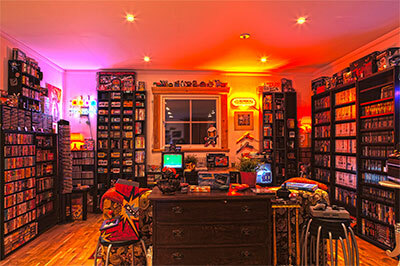 And there were only cartridges of Wings of Wor on Ebay… I assumed it was rare.. 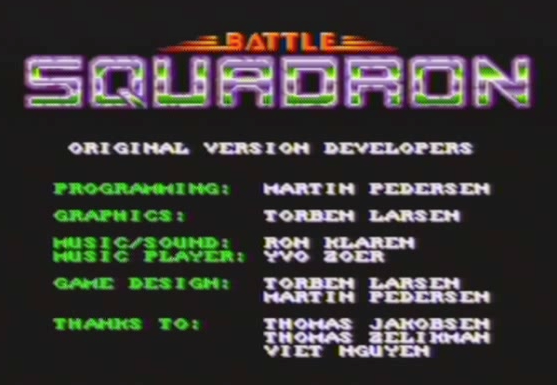 This entry was posted in Sega, Sega Mega Drive and tagged 16-bit, 16bit, Battle Squadron, Games, Gynoug, Phantom 2040, Sega, Sega Genesis, Sega Mega Drive, Skeleton Krew, Video games, Wings of Wor. Bookmark the permalink. Out of this whorl (or Another world as it is called here) is really cool, but really hard though.. I should try to finish it..
totally agree about out of this world. 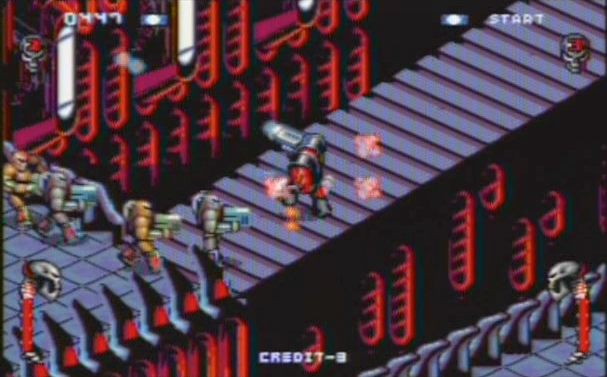 yes i have another world as well on my megadrive, and its lesser known sequel, heart of the alien, on a segacd emulator. out of this world was known to be tough as nails, but it was possible…after throwing the controller at the tv 80 plus times. flashback is more sentimental for me, i used to play that game for ages back in the old days! 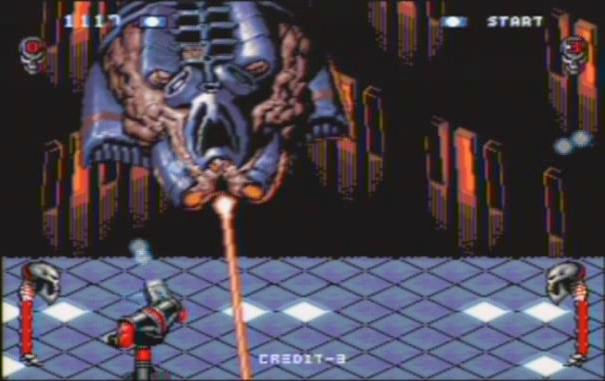 Core Design did some really spectacular work on the Genesis/Mega Drive/Sega CD. 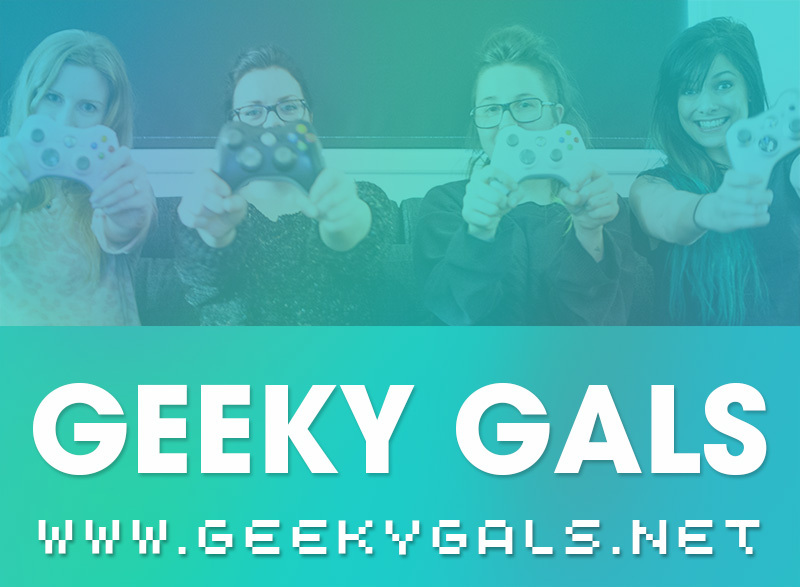 Anything you see by them is worth a buy or a try because they pushed the hardware pretty far. Also, if you like multiplayer games, any of the Micro Machines titles on the Mega Drive comes highly recommended. Codemasters did an incredible thing with their J-Cart technology that allowed up to EIGHT players to play Micro Machines (the cart has controller ports built in!). 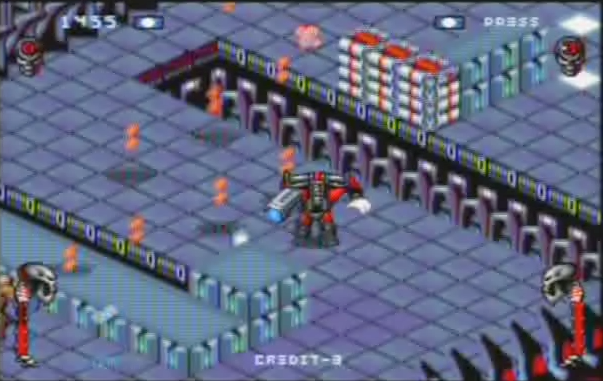 I think the bulk of Core’s best stuff was on the Mega CD (Battlecorps, Soul star, BC Racers, Jaguar XJ200, Thunder Strike etc. 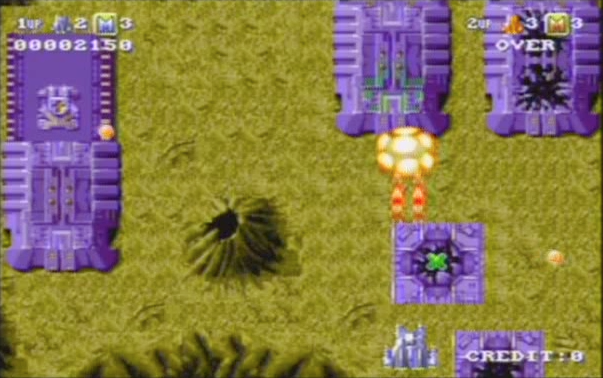 ), but they definitely did some great carts.